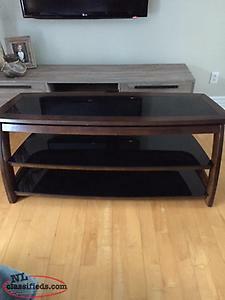 For sale: a TV stand in excellent condition. 43 inches long, 17.5 inches high, 18 inches deep. Black with chrome legs. Tv stand in good condition. 40$ obo. 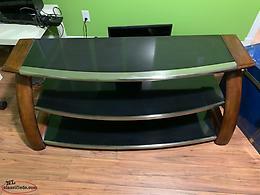 TV Stand made of glass and wood measurements 54"x21"x22". Lots of space for storage in excellent shape. $90.00. Located in Norman's Cove. For more information & fastest response call 592-2242. 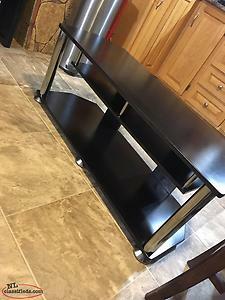 Hi, I'm interested in the 'Tv Stand' posted on NL Classifieds! Please contact me if still available.